What Are Some Qualities of a Romantic Hero? 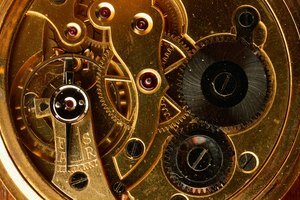 What Is the Origin of Steampunk? A man reading on the beach. Contemporary writers often consciously draw inspiration and ideas from the writers who have come before them. As a result, many works of 21st literature grapple with the events, movements and literature of the past in order to make sense of the present. Additionally, the technological advancements of the 21st century have led other writers to hypothetically write about the future, usually to comment on the present and evoke introspection. With increasing globalization, intersections of cultures and more vocal discussions of women’s rights and LGBT rights, identity has become a common theme in 21st century literature. In a world that is now able to exchange ideas more quickly than ever before via the Internet and other technological advancements, people have relatively more freedom to draw from multiple cultures and philosophies and question the concept of the self and its relation to the body, brain and “soul.” For example, Sam Clay in "The Amazing Adventures of Kavalier and Clay" by Michael Chabon struggles to come to terms with his homosexuality. 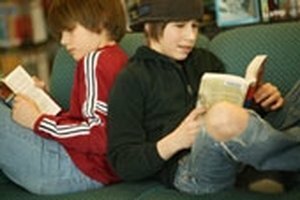 The novel, which is about young comic book collaborators during the World War II era, won the Pulitzer Prize for fiction in 2001. With her 2008 book "Infidel," Ayaan Hirsi Ali became a feminist voice for the rights of abused Muslim women and religious freedom. As contemporary readers are able to look back on history and see how history has been depicted differently for different audiences, history and memory have become themes in 21st century literature. Often contemporary literature explores the notion of multiplicities of truth and acknowledges that history is filtered through human perspective and experience. For example, "The March" by E.L. Doctorow fictionalizes yet still depicts the realities of General Sherman’s famous march during the U.S. Civil War, and how people of the South were slaughtered, giving a slightly different perspective of how the North is usually depicted. Today, technology is more integrated into people’s lives than ever before. Dreams of what technology could potentially help people become and anxieties regarding the demise of humanity as a result of technology can be seen in 21st century literature. On one hand, there are books about biotechnology helping people with disabilities, such as "Machine Man" by Max Barry. Additionally, many 21st century works of literature explore what it means when all of humanity’s experiences are filtered through technology. For example, "Ready Player One" by Ernest Cline depicts a futuristic world where everyone escapes reality by plugging into a virtual utopia. In postmodern style, many contemporary writers recognize a piece of work as being one among many throughout history. As such, many writers purposely include acknowledgements, references or parallels to other works of fiction, recognizing their place in a larger, broader conversation, context and body of work. Some intertextual themes go as far as to poke fun at a work’s own lack of originality or the clichés that it seemingly cannot escape. For example, in "The Brief Wondrous Life of Oscar Wao" by Junot Diaz, the text references many comics, movies and other books in order to describe events. Ashley Walton holds a master's degree in English and has taught various courses at Brigham Young University, including rhetoric in new media and transatlantic literature. She has worked as an online copywriter for the last five years, and has eight years of copy editing experience. Why Recite Psalms 23 at Funerals? Walton, Ashley. "Themes in Literature in the 21st Century." Synonym, https://classroom.synonym.com/themes-literature-21st-century-8320321.html. Accessed 20 April 2019. 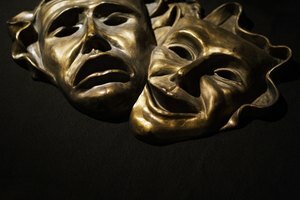 What Were the First Two Forms of Drama?